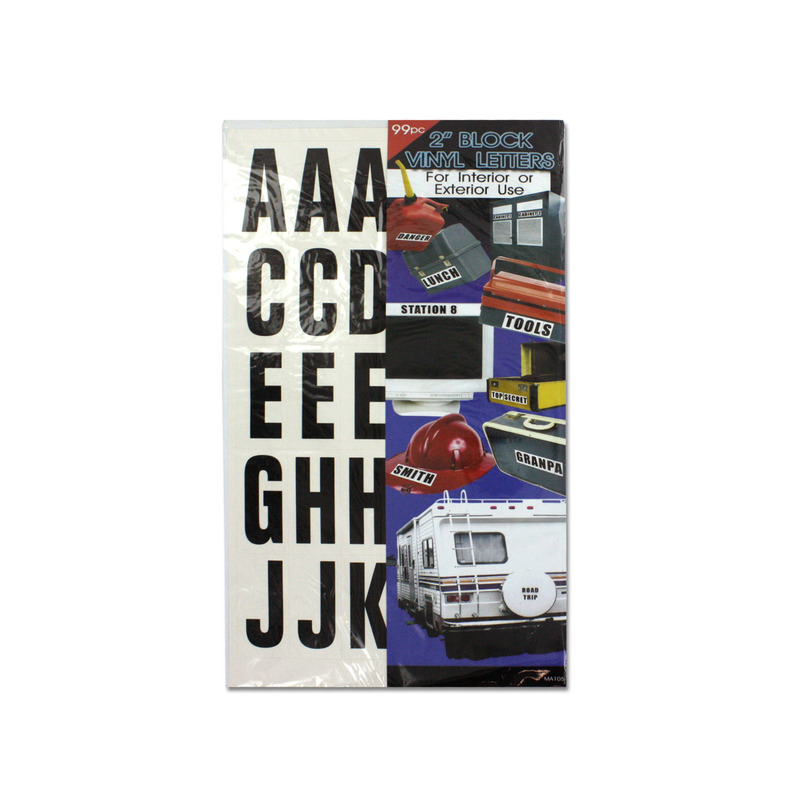 Ideal for indoor and outdoor use, this 99-piece 2" Adhesive Plastic Block Letters Set features durable plastic letters and numbers that are convenient and easy to use for creating professional looking lettering. Can be used on water resistant and non-water resistant surfaces. Use for lettering tool boxes, computers, lockers, garage items, and even for cars and other vehicles. Each letter measures approximately 2.25" x 1". Comes packaged in a hanging poly bag.